Annex 14, Volume II, contains Standards and Recommended Practices covering aspects of heliport planning, design and operations. 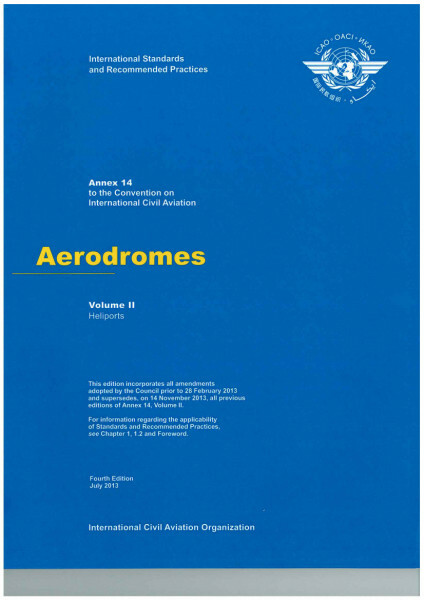 This edition incorporates all amendments adopted by the Councol prior to 28 February 2013 and supersedes, on 14 November 2013, all previous editions of Annex 14, Volume II. For information regarding the applicability of Standards and Remonnedes Practices, see Chapter 1, 1.2 and Foreward.